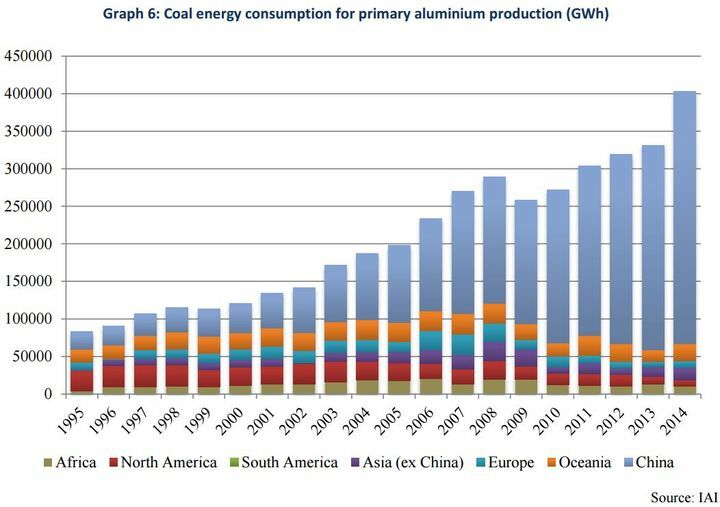 In China, 90% of the electricity used for primary aluminium production comes from coal, reminded Yves Jégourel, professor at the University of Bordeaux, and Philippe Chalmin, professor at Paris-Dauphine University. They published a report on the environmental implications from processes involved in the aluminium production in China under the guidance of Aluwatch (a working group devoted to developments in the aluminium market). In a context of overproduction and increased environmental pressure, ‘it makes no sense for China to continue developing its aluminium production’, Philippe Chalmin said. ‘From an environmental point of view, every tonne of surplus output is paid at a high price’, Yves Jégourel underlined. Globally, the production of one tonne of aluminium leads on average to 16.5 tonnes of greenhouse gas emissions! 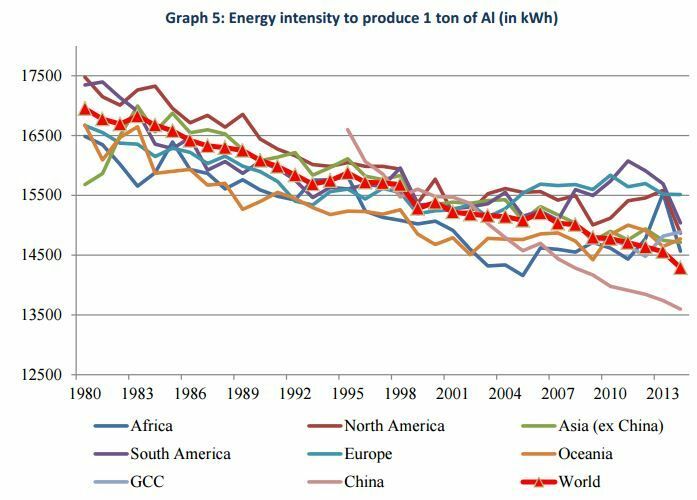 The energy intensity required to produce a tonne of aluminium has decreased steadily since 1980, from a global average of nearly 17,000 kWh in 1980 to 14,289 kWh in 2014. According to the latest data from the International Aluminium Institute (IAI), last year China was the country which consumed the least amount of energy for the production of this metal (13,596 kWh). These efforts are still thwarted by the massive use of coal, which China is the world’s largest consumer of. In North America, 83% of the electricity needed to produce primary aluminium is generated by hydropower plants, against 52% in 2014. According to the International Energy Agency, the primary aluminium industry accounts for 1% of global greenhouse gas emissions. 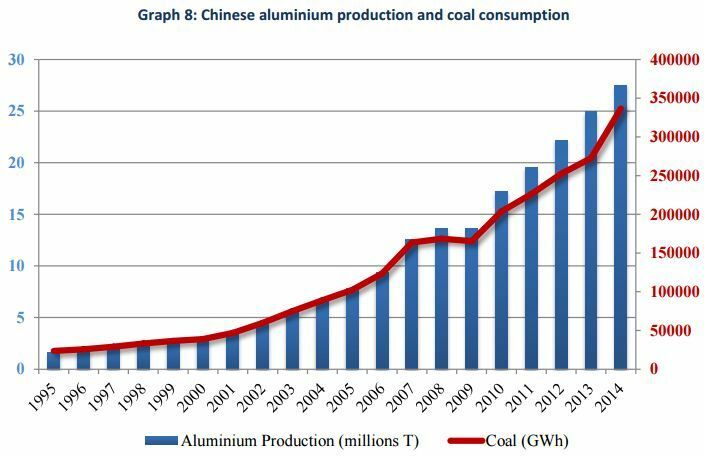 The initiatives have been taken by China to gradually limit the environmental impact of aluminium production. Thus, the development of new smelters with production capacity lower than 100,000 tonnes per year was banned in 2003, and technological improvements related to energy intensity have been encouraged or imposed on producers. An electricity market reform for its part, was effected in 2009, the smelters are billed according to actual consumption. ‘For a long time there was no electricity market price in China with an accommodative policy. The Chinese electricity market is not working optimally, which doesn’t work towards the evolution in the energy mix on the part of industrial producers. The country has, however, one of the highest hydropower potential in the world!’ said Yves Jégourel. How have aluminium professionals worked since 1980 for better energy performance? Clearly, all research and development efforts have been made regarding the process of smelting (transformation from alumina to liquid aluminium). An improved process of electrolytic reduction helped to reduce energy emissions, as well as the emissions of perfluorocarbons (PFCs). Moreover, some countries such as China have improved energy efficiency of refining bauxite into alumina. All global players can participate in assessments of greenhouse gas emissions, including those carried out by the International Aluminium Institute. In the framework of its aluminium production, how could China be more environmentally friendly? Remember, China has made tremendous environmental efforts in terms of energy consumption. It has the lowest energy consumption in alumina-aluminium conversion. The energy mix used to generate this electricity depends on the coal by 90%. The progress is to be carried out as to the future development of the energy mix in favour of hydropower. 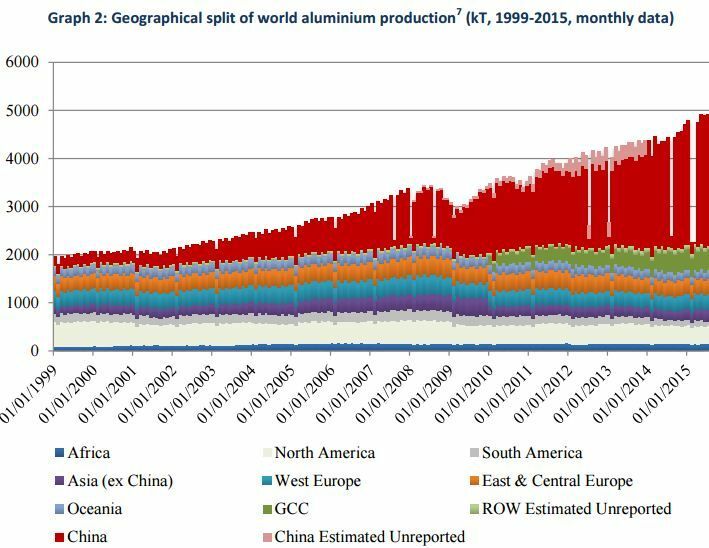 How could the global landscape of aluminium producers change, forcing lower prices? The changes are already underway. At the level of primary aluminium, we see the dominance of Chinese producers and the difficulties of companies historically producing aluminium. For a complete view of the market, it is necessary to look at the entire production chain. The differentiation strategies in terms of quality may be possible.